"My son in primary school did not attend a birthday celebration because it was cancelled due to bad air -- and we live in Seoul, a great place to live," said Dr. Frank Rijsberman, director-general of the Global Green Growth Institute (GGGI). Investing in youth and the population dividend, women's health, sustainable development objectives, and the key role of parliamentarians to promote transparency, accountability and good governance to achieve the 2030 Agenda on Sustainable Development topped the agenda of a two-day conference of Asian and African lawmakers in New Delhi last week. Experts in Latin America warned about the serious risk that would be posed if the fight against hunger, still suffered by 33 million people in the region, is abandoned, while proposing new alternatives and insights which include linking social protection with economic growth. “There are 33 million rural dwellers in Latin America who are still living in extreme poverty and can’t afford a good diet, clothes or education, and we are not going to help them move out of poverty if we use the same strategies that worked 20 years ago,” FAO regional representative Julio Berdegué told IPS. The final declaration of the Earth Summit held in Rio de Janeiro in 1992 stated that “Environmental issues are best handled with the participation of all concerned citizens.” However, this rarely happens in Latin America and the Caribbean. Almost no Caribbean beach escapes erosion, a problem that scientific sources describe as extensive and irreversible in these ecosystems of high economic interest, that work as protective barriers for life inland. Towards a Global Role for ACP? The African, Caribbean and Pacific Group of States (ACP) met this week in Brussels for the 105th Session of its Council of Ministers to discuss the key question of how these 79 countries could play a more effective role for their own citizens and in the international arena. Corruption has penetrated the Amazon rainforest like an illness that infects everything, said Ruben Siqueira, coordinator of the Pastoral Land Commission (CPT), during the VIII Panamazonic Social Forum (FOSPA), which brought together in the Peruvian Amazon jungle representatives of civil society from eight Amazon basin countries. Africa and the Paris Agreement: Which Way Forward? The Paris Agreement on climate change is set to enter into force on Nov. 4, after it passed the required threshold of at least 55 Parties, accounting for an estimated 55 per cent of the total global greenhouse gas emissions, ratifying the agreement. The Pan African Parliament (PAP) concluded its session in Egypt’s Sharm El-Sheikh Monday with initiatives on PAP’s identity, counter-terrorism challenges in the continent and joint development plans, particularly the question of food security. Two years ago at the 31st African Union Summit in Malabo, Equatorial Guinea, heads of state and government endorsed the New Partnership for Africa's Development (NEPAD) programme on agriculture and climate change with the bold vision of at least 25 million smallholder households practicing Climate Smart Agriculture (CSA) by 2025. The two-day Second Africa Rural Development Forum concluded Friday with renewed calls to economically empower young people, many of whom are leaving the resource-rich continent and migrating to places like Europe under very risky circumstances. Will the World’s Largest Single Market Transform Africa Fortunes? Getting just a sliver of the global trade in goods and services worth more than 70 trillion dollars, Africans have every excuse to decide to trade among themselves. India and China, a New Era of Strategic Partners? Despite bilateral dissonances and an unresolved boundary issue, India and China -- two of the world's most ancient civilisations -- are engaged in vigorous cooperation at various levels. 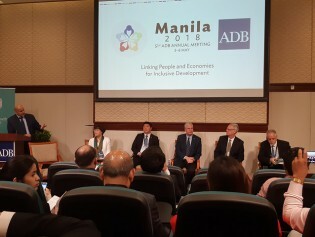 The Asian neighbours' relationship has also focussed global attention in recent years on Asia's demographically dominant, major developing economies engaged in common concerns of poverty alleviation and national development. The EPA issue has once again re-emerged when, in early July, Tanzania informed East African Community( EAC) members and the European Union (EU) that it would not be able to sign the Economic Partnership Agreement (EPA) between European Union (EU) and the six EAC member states. As over 20 million sub-Saharan Africans face a shortage of food because of drought and development issues, representatives of the U.N. Food and Agriculture Organisation (FAO) and the Pan African Parliament (PAP) met in Johannesburg to forge a new parliamentary alliance focusing on food and nutritional security. Is a Referendum a Valid Tool for Democracy? William Shakespeare would have loved to witness the Brexit. Many of his themes are evidently present: friendship and treason; truth and lies; deception and betrayal. The hopes of many of those who confidently expected the British electorate to vote, by a slender margin, for the country to remain in the EU have been dashed. All that is left to do now is to ponder the causes and background of this regrettable event, and consider its likely consequences, especially for relations with the United States. This is a challenging time for global trade. According to the current World Trade Organization (WTO) new trade forecasts, global goods trade is expected to grow by 2.8%, making 2016 the fifth consecutive year of sub 3% growth. The gross domestic product (GDP) is still the most critical variable in the trade expansion equation, and as long as GDP growth remains low, trade numbers are likely to follow a similar trend.